I love Mother’s Day because it celebrates women, and all that they do. On that day women should be pampered, women should be thanked for all that they do all year, and they should be appreciated for who they are. They should not have to work, they should not have to cook. They simply should enjoy the day doing nothing. And I hope that they did!!!! So instead of doing nothing, I worked in my yard and planted flowers. I exercised. And I cooked!!!! Yes, but no worry.. I cooked for me. I cooked fun things. 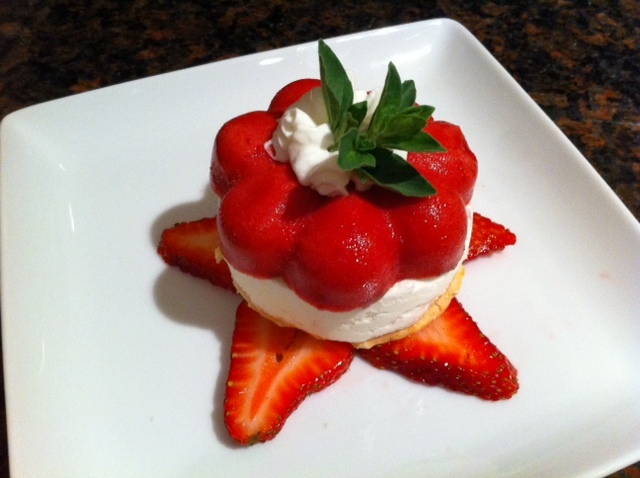 I had fun… I played with some of the fleximolds I have at home and created some cute desserts. Look at what i made with the miniature flower mold. In France, we call it Vacherin. It is a meringue topped with frozen whipped cream and raspberry sorbet. 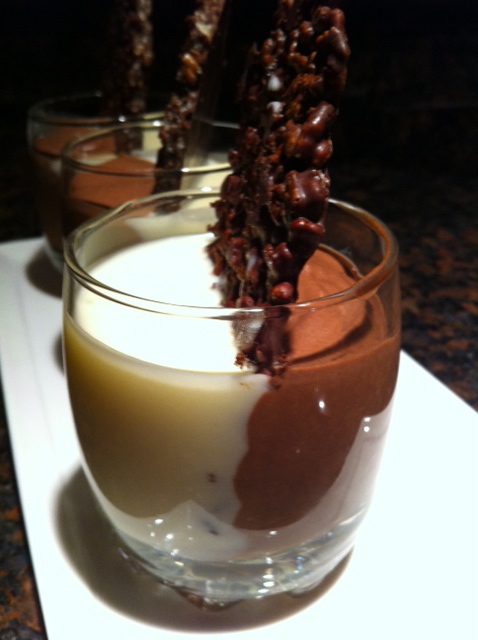 I also made a white and dark chocolate verrine with a rice crispy crisp. Doesn’t it look amazing?!?! I may forward those recipes one day, for now though I will just tempt you to come to one of my cooking class. You will learn so much, and you will have fun!!! !